Thinly slice the zucchini (use a potato peeler or a Mandolin) and place in a bowl. Blanch the beans, lightly mash and add to the zucchini. Add the lemon juice, olive oil and season to taste. Mix well. Soften/mash the cheese in a bowl with a fork. 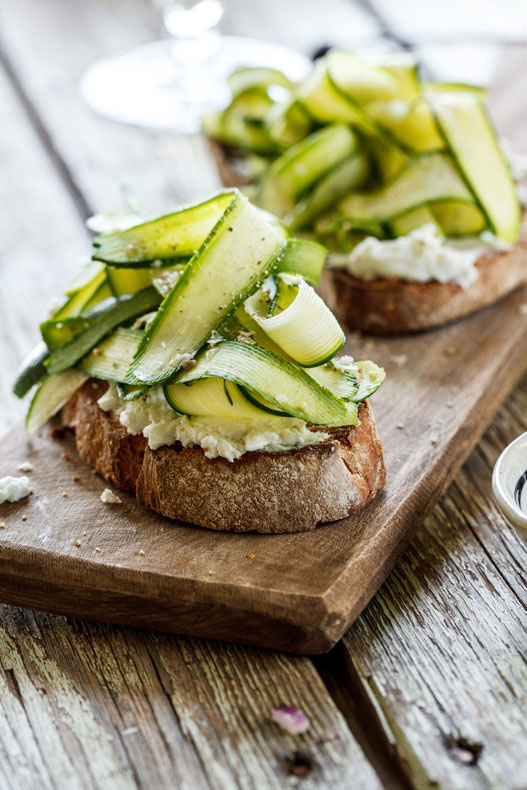 Spread on the toasted sourdough and top with the marinated broad beans and zucchini ribbons. Garnish with microgreens and serve immediately. Hussey & Laredo Freshly made bagels toasted and topped with delicious, tasty fillings. Great coffee using beans freshly roasted from Vanguards and local milk from Holy Cow.